The Corrosion Grenade unit protects metal parts by acting as a “sacrificial anode.” It corrodes instead of expensive A/C parts like aluminum fins, copper piping, and galvanized steel. The marine and plumbing industries have been using "sacrificial anodes" for decades to protect other functional parts from galvanic corrosion. 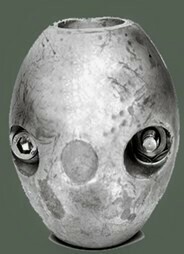 By adding the Corrosion Grenade to the assembly, the zinc becomes the weakest metal and therefore, is the one that corrodes. 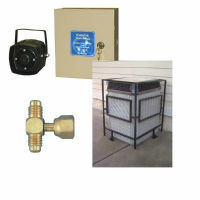 Extend the life of your air conditioner or heat pump today.